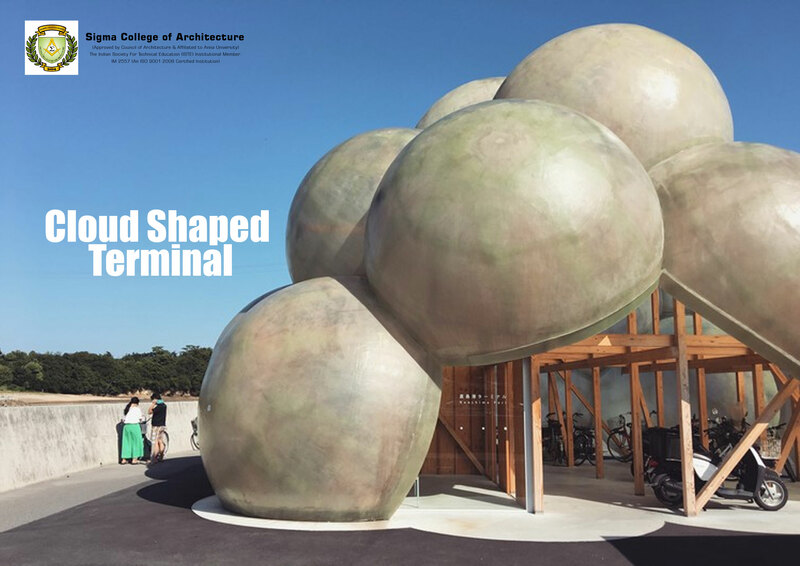 The project is crafted on a 8-metre-tall form and is modeled on a cloud shape which is made up from intersecting fibre-reinforced plastic spheres. The entire plastic structure is supported by a gridded wooden frame. The terminal also has a semi-transparent form glows like a beacon when illuminated at night.